Paramannam is prepared in Lord Vishnu temples and also in the temples of Lord Surya etc. 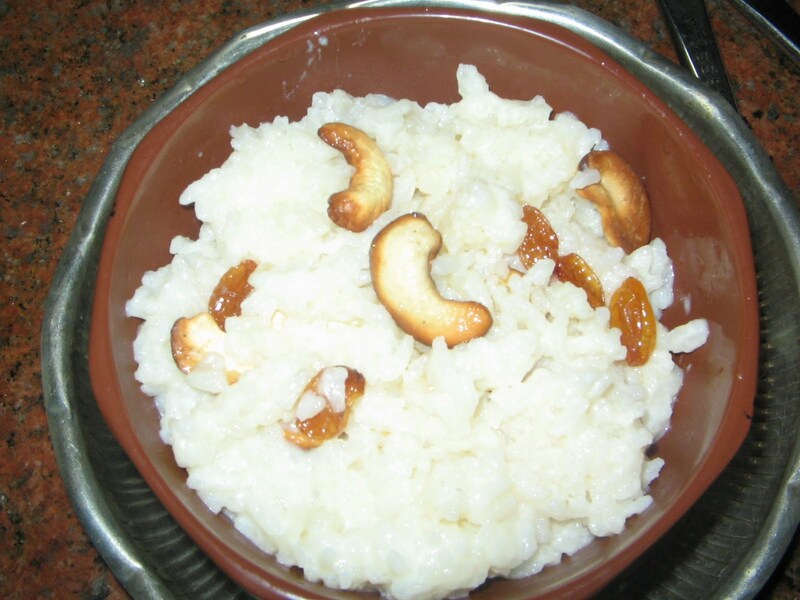 , and also in pujas as prasadam in our homes.It tastes yummy and is healthy as it is cooked with milk. Boil milk in a pan,after it starts boiling add rice(need not wash),and cook it in low flame till it is cooked directly on the stove.After it is cooked completely add sugar ,and (add a little water upto 1 cup if u want it to cook soft )cook.Lastly add elaichi powder and fried cashew and raisins( shallow fry them in 1 tsp of ghee and keep aside).Lastly add ghee and mix well and serve in a bowl. 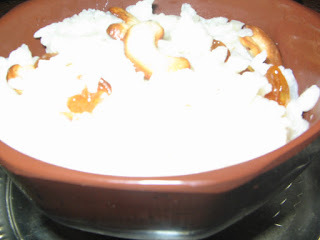 After boiling milk in a pressure cooker add rice to it ,close the lid and cook for 3 whistles.Meanwhile place sugar in another pan and add 1 cup of water too,bring to a boil .Switch off the stove after the sugar is dissolved completely. Now open the cooker(after it is cool) and pour the sugar pakam into it,and mix well.Again switch on the stove and cook in a low flame.After it is well cooked softly add elaichi powder,shallow fried cashew and raisins, and also ghee,mix well.Switch off the stove and transfer it in to a bowl. Add a pinch of pachha karpuram if u like it.It tastes yummy, we prepare it for Ratha sapthami ,and Ekadasi. Very classic recipe.. Looks delicious ! !